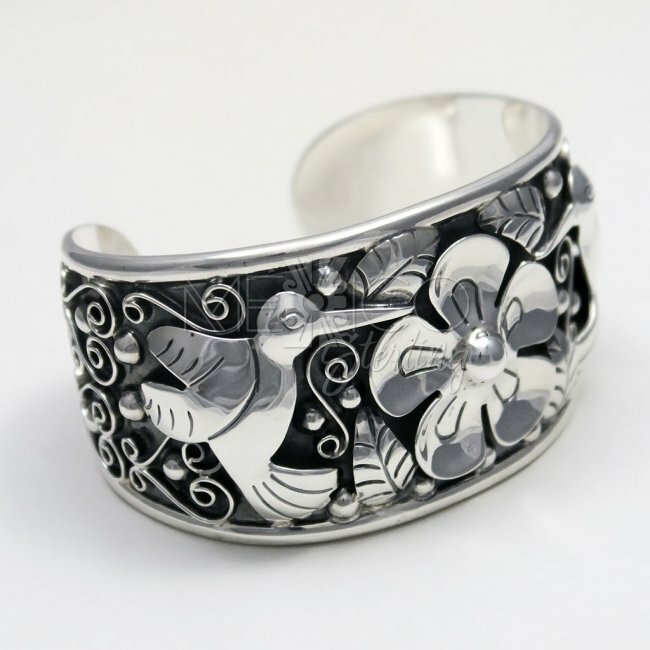 Taxco Silver Sweet Hummingbird Cuff [BRC3371] - $210.00 : Mexico Sterling Silver Jewelry, Proundly from Mexico to the world. 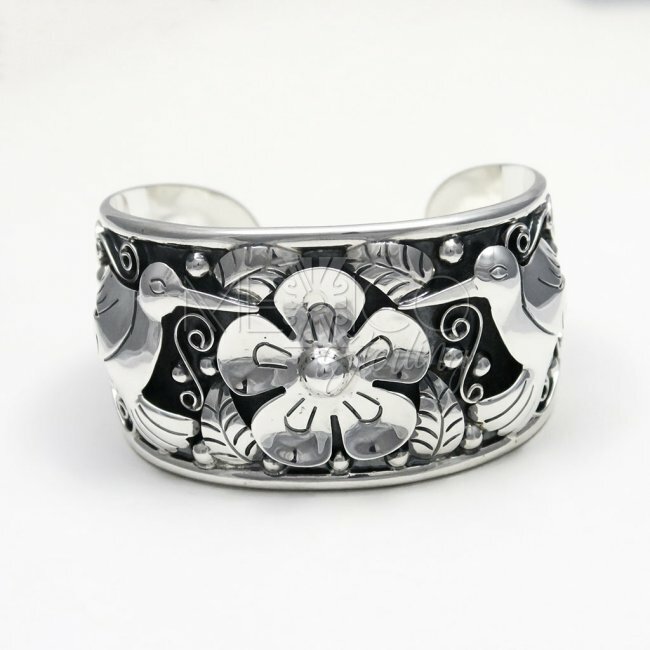 Dimensions: W: 1 1/2" Inside Circumference: 7"
Artisan Taxco sterling silver cuff bracelet with lots of charm! 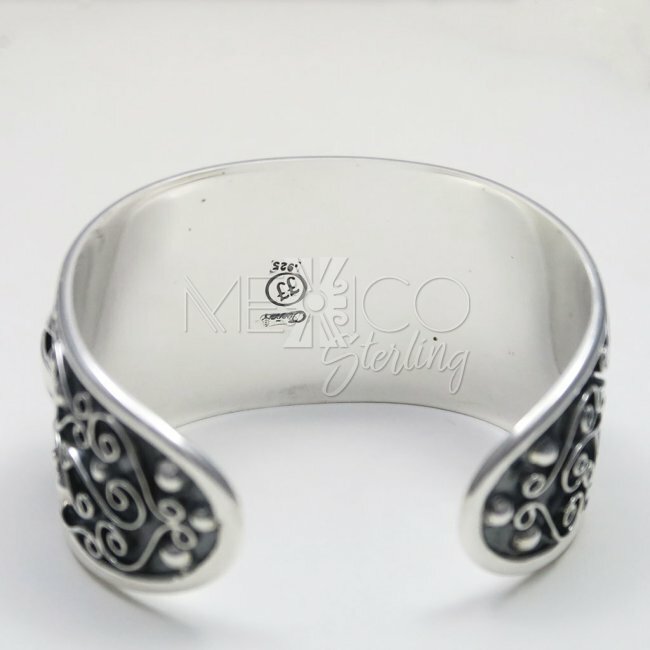 This is the perfect example for flawless craftsmanship and a classic Taxco look. 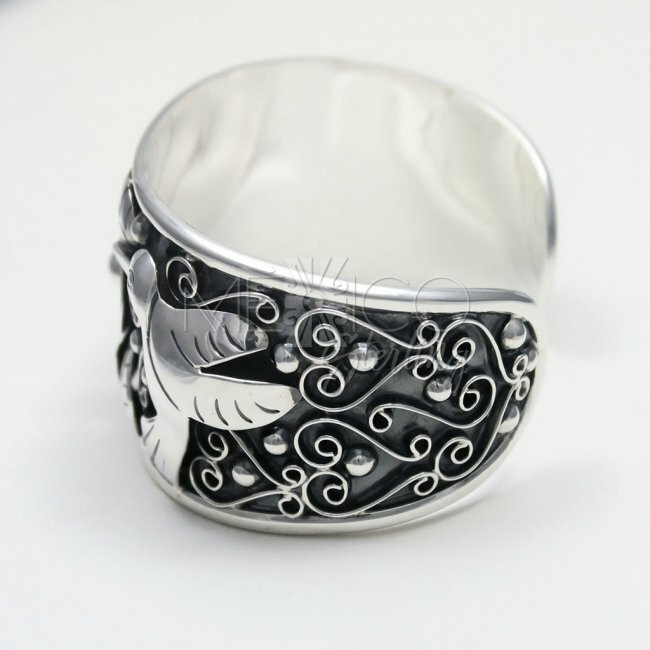 This silver cuff is completely handmade with a perfect finish from beginning to end. 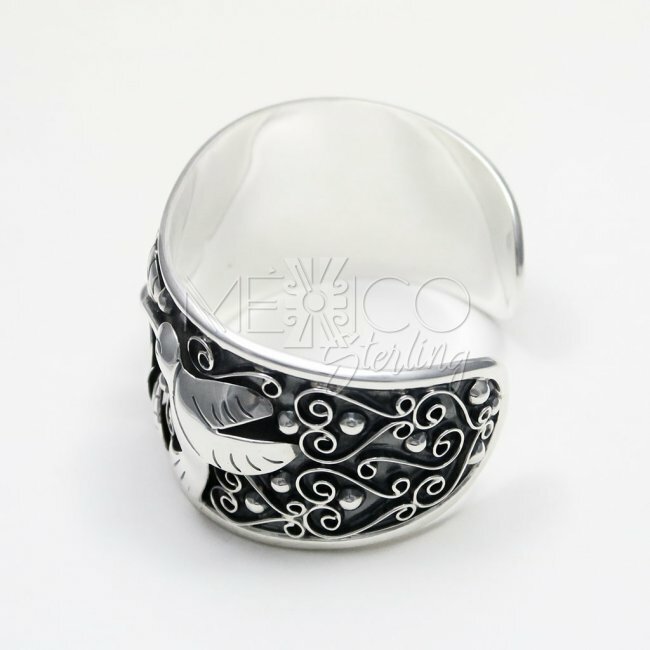 It is also very sturdy and substantial in weight with a total of 58.1 grams. 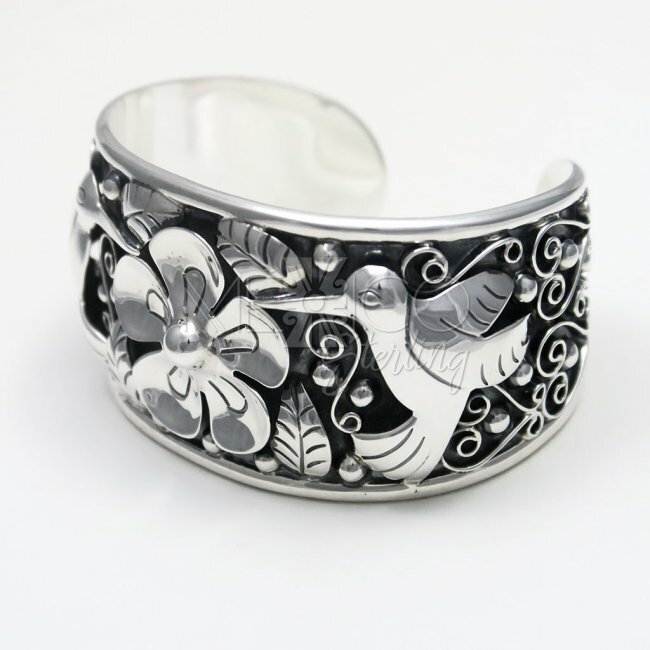 The wonderful nature motif on this piece is just gorgeous, showing two silver hummingbirds with flowers and leaves, perfect combination of nature elements and decorative swirls that dance on a darker, oxidized silver background, giving the overlaid figures a high contrast and a beautiful, unique jewelry design. 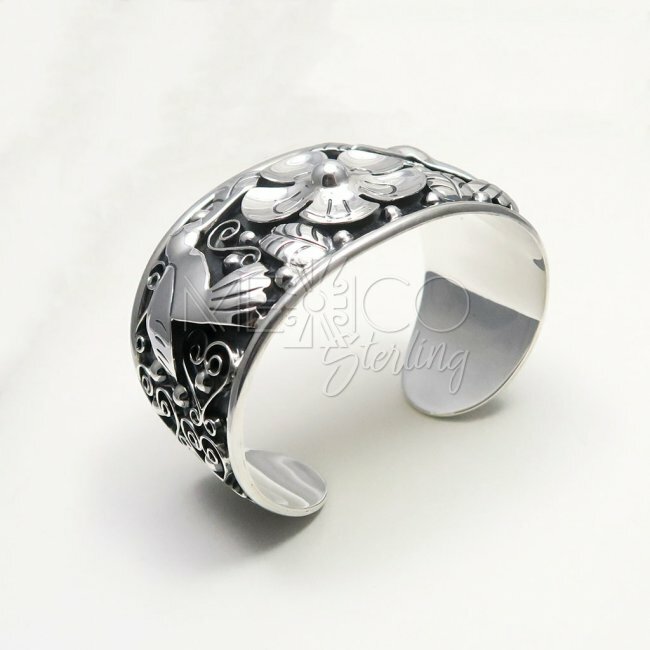 It is in just a couple words, the perfect addition to any jewelry collector out there. 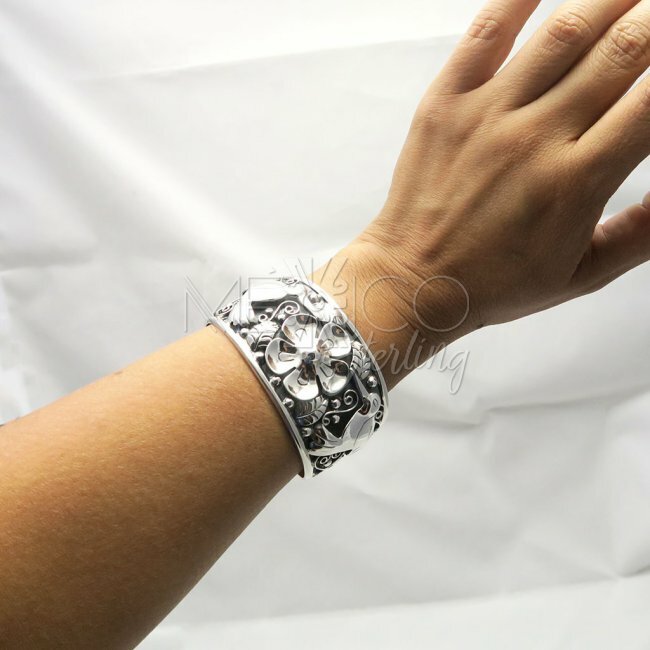 And perfect to add an out of the ordinary and fashionable look, for people who love bold and striking looks. 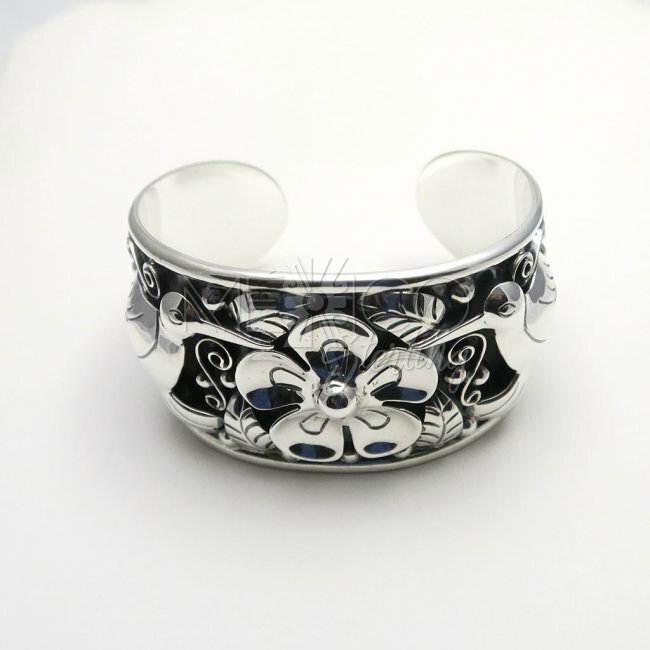 Please take a look at the extra photos, for more details on this nice silver cuff bracelet. If you need a larger or smaller size, please let us know, we can help.